To those of us whose formative wine experiences were the varietal wines of California, a liter bottle of a red wine called "Zweigelt" (ZVIE-gelt) is as foreign as it gets. And I must admit, the easy drinking cross (Blaufrankish and St. Laurent created in 1922 by Dr. Zweigelt) is leaner than the majority of domestic wines, and fresher tasting, too. The most popular red wine in Austria, Zweigelt is to Austria perhaps what Dornfelder is to Germany and Beaujolais is to France--an all-purpose workhorse that is as at home with a roasted chicken as it is with a hamburger. When we sampled this wine at an L.A. tasting last summer, we knew this would be the kind of fruity, sassy, dependable red wine we could happily drink all year long. 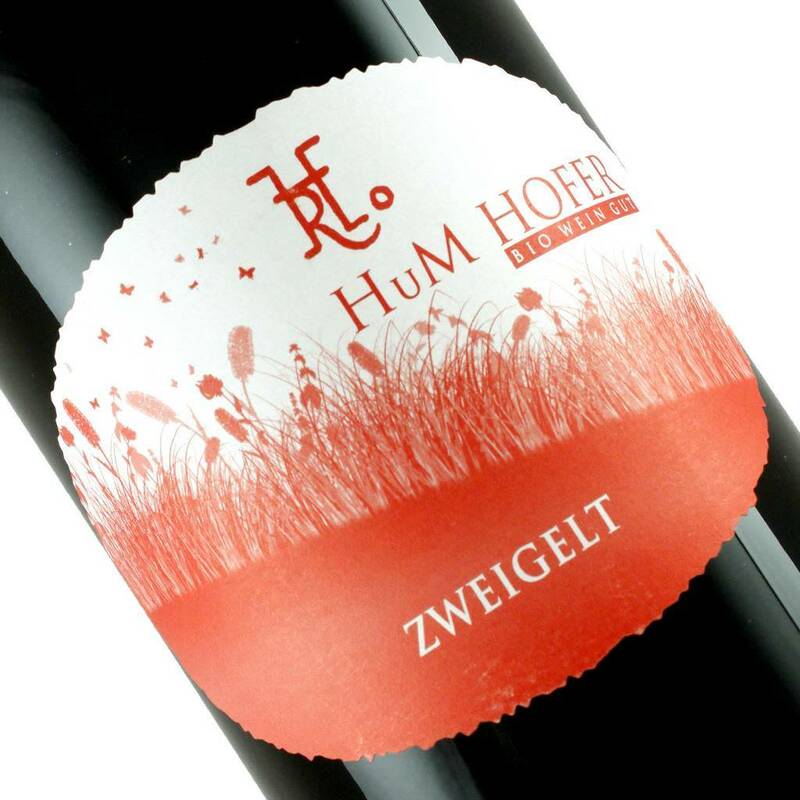 Hofer's Zweigelt has the character of a cool-weather red, as one can expect wines grown in the historic region near Vienna. With an intriguing aroma of licorice, damp earth and something floral lurking about, the flavors also reflect those characteristics, and it's not at all sweet.